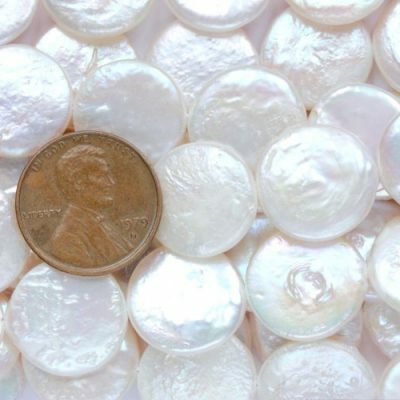 With very high luster, these white colored coin pearls are top drilled, and have approximately 9x16mm in both diagonal dimensions at approximately 15.5in long. 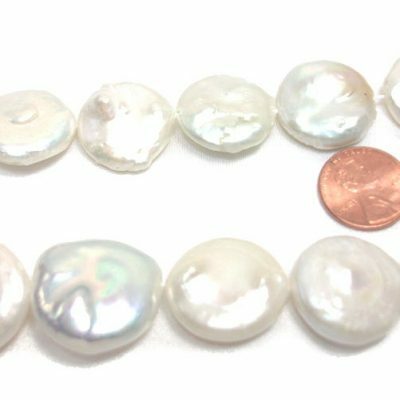 These top drilled pearls represent good values as they are all closely strung together with approximately 85 pearls on each strand. 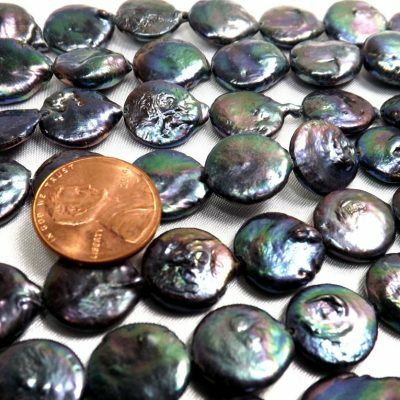 The picture is taken from real strands. These pearls are in white colors. 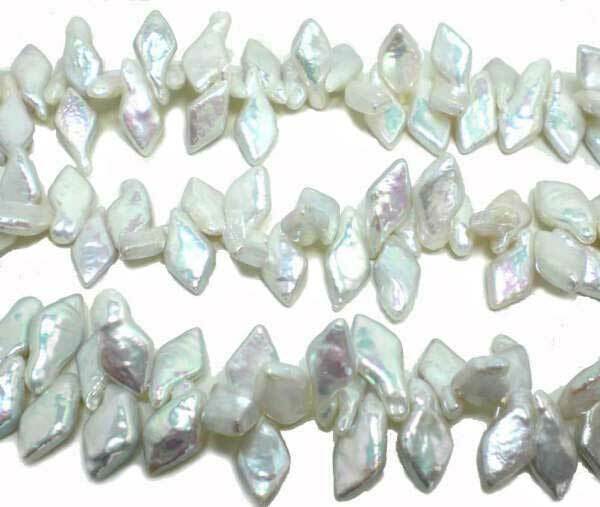 If you would prefer to have the white pearls with pinkish overtone, please make a comment in the special request field. The price is for one strand only.